High relief tiles with "Bruno" border pattern for upgrading old European kitchen, bathroom walls and stair risers. Artisan produced with cobalt, light blue and pastel green color over cream. 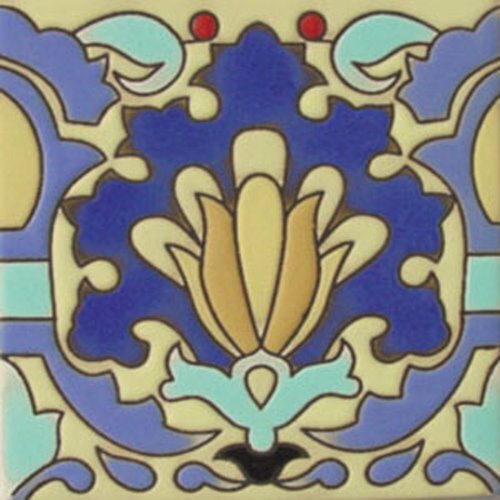 Shipping talavera tiles takes about four weeks and is free of charge. 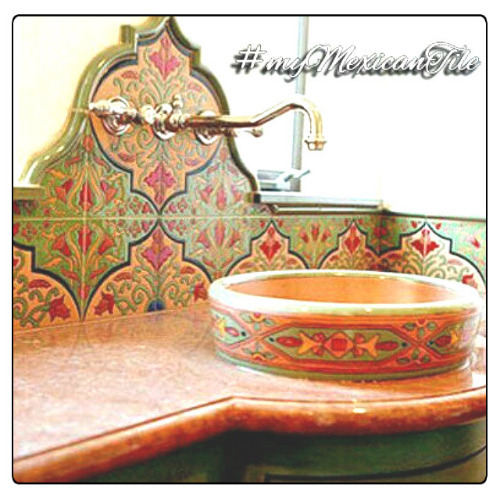 Relief tile from Mexico is often used for moldings, trims and baseboards.